If you or your company needs running a business in your tour, travel or hotel. This collection of more than 30 Best Responsive Travel & Hotel WordPress Themes 2017 will bring your services closer to anyone in the world such as hotel booking and more with style and creativity. Today the tourist industry, hotels need to use internet to promote the product, the service’s fate. It can help reach these potential customers and on top of that is global with low cost and easy. People travel all the year round and they choose different destination points, different transport, various accommodation to escape from prosiness and to bring a gulp of fresh positive emotions into their lives. So, travel agencies and hoteliers should not ignore the importance of using a hotel website in attracting guests. A website can certainly help you promote your business and let your potential guests take a glimpse of the amenities and services that you offer. They are able to closely follow and post images of people enjoying their planned vacations, proving to everyone that their service is a valuable one indeed. Build a travel/hotels site to be hassle. If you wanted to save times and money, countless hours would be spent on research and reading tutorials in order to maintain even the most basic of websites. WordPress is probably the best thing that happened to the travel industry. With the ongoing development of WordPress, it can meet the most complex requirements of the tourist sites, hotels. Responsive WordPress theme supports different platforms easily.In this article, we will show you 30 Best responsive WordPress themes for travel and hotel. 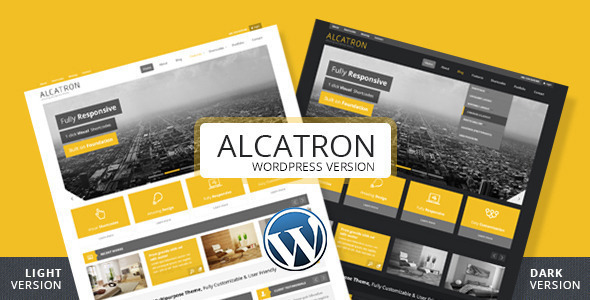 You will have wonderful responsive themes without paying anything or needing coding knowledge. 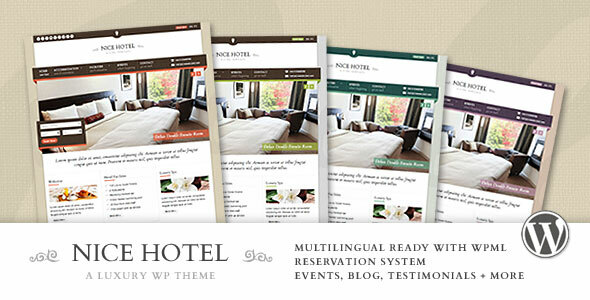 For free hotel wordpress themes you should have a look at this theme collections. 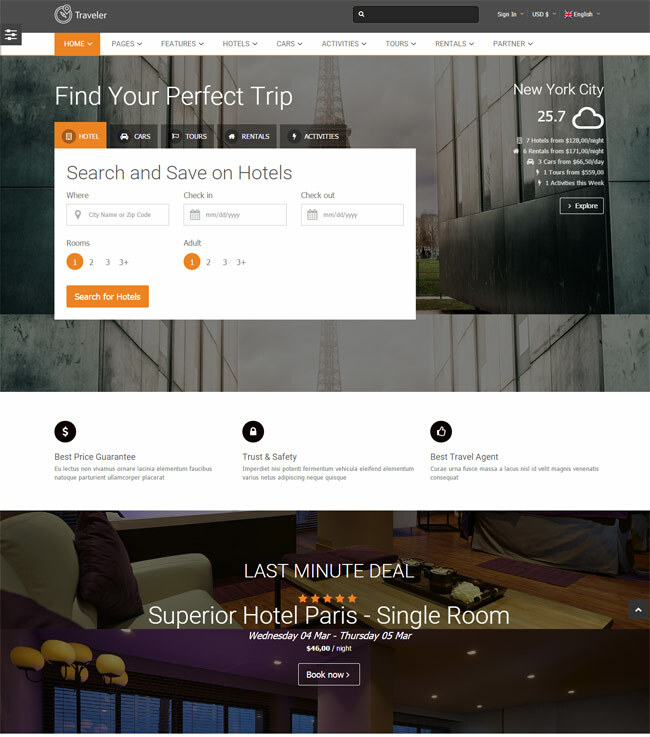 If you are looking for free travel or hotel related such as ones for hotel, vacation home, motel, appartement or other booking themes then you should check this theme collection. For more specific Travel blog themes check this theme collection. 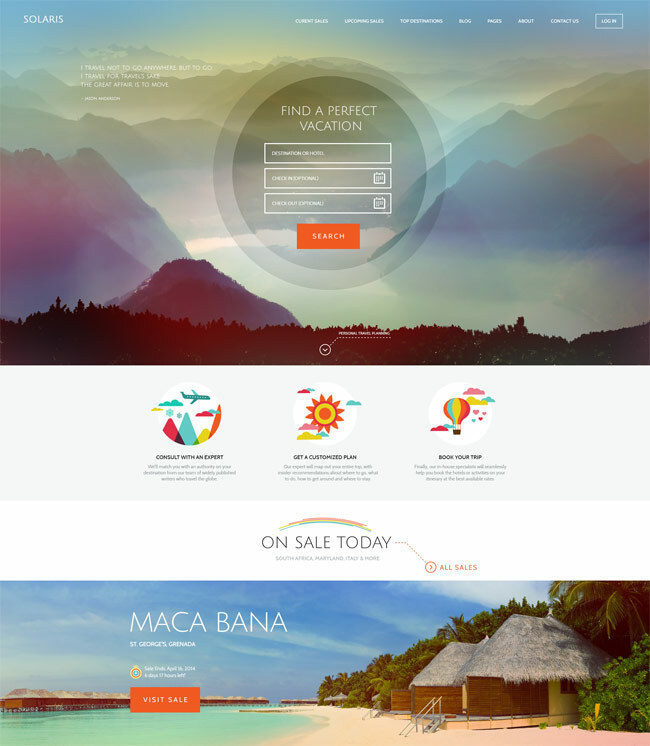 Travel Tour has 19 header styles allow you to maimize possibilities to your website. You can change header layout to suit your style easily, just one click via theme option panel. SEO optimized, Travel Tour ensures your website remains relevant by cleverly organizing your content for better search engine indexation. 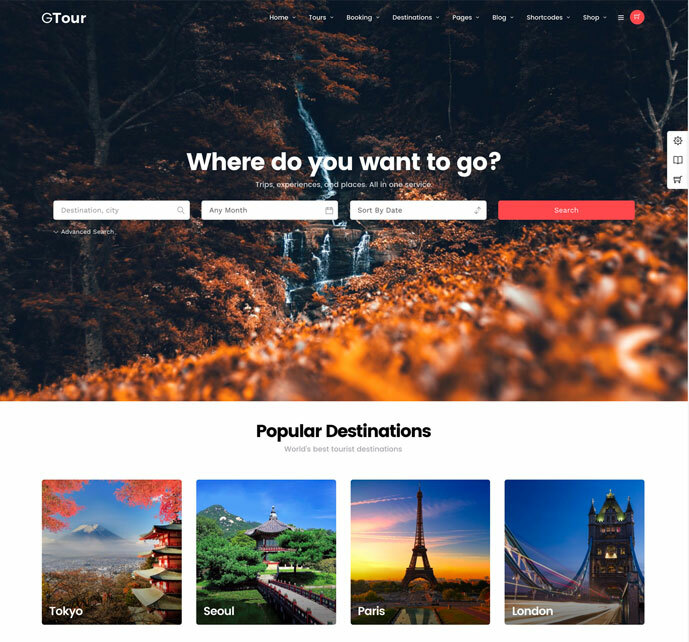 Grand Tour is a clean and fresh, sophisticated and attractive, visually eloquent and well structured, modern and highly responsive WordPress website theme for Travel agencies and Tour other tourism and travel related websites. It is also retina ready and guaranteed to bring a pleasurable user experience for those viewing your site. It is fully responsive and streams faultlessly when viewed on different devices, but you can also deactivate its responsive with one click in your backend. Incredibly meaningful degrees of customization are readily available within Grand Tour through a completely visual interface underpinned by a drag and drop page builder with pre-defined content modules including tour, destination, gallery, blog, testimonials and etc and potent admin panel customization settings for thorough styling, branding and animation choices. It includes unlimited color choices, 8 blog layouts to choose from, advanced typography options with 600+ Google Fonts, 9 post formats, custom menu support, custom logo and favicon, custom CSS option and many more. 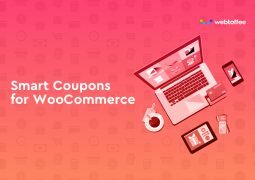 You can design your own online shop via WooCommerce. 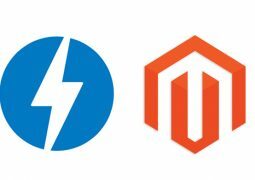 It is definitely the best eCommerce plugin in the world, as countless sites have chosen to implement it. The Revolution Slider Plugin introduces eye-catching animation, bringing your page into the Paradise travel site. Thoroughly SEO validated coding ensures your website’s efficient performance in all the relevant searches, widening your audience further. Make travel website with Grand Tour today! 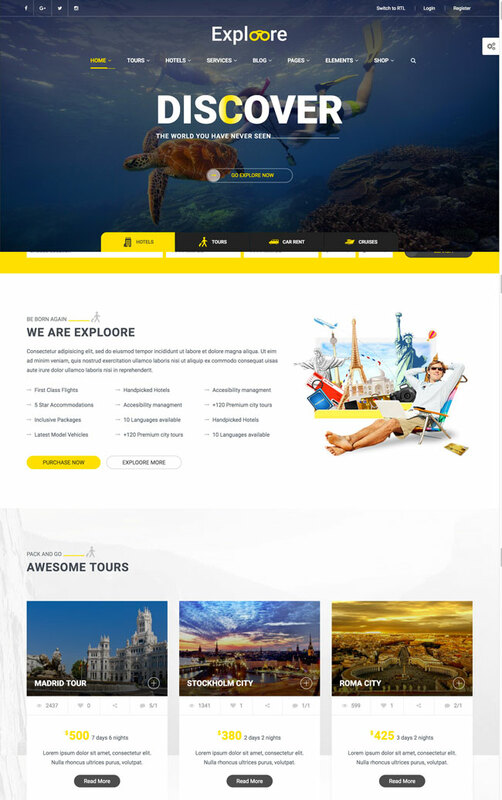 Exploore is a sophisticated and attractive, visually eloquent and well structured, potent and pliable, readily customizable and very easy to use, eye-catching, modern and highly responsive WordPress travel/booking website theme. 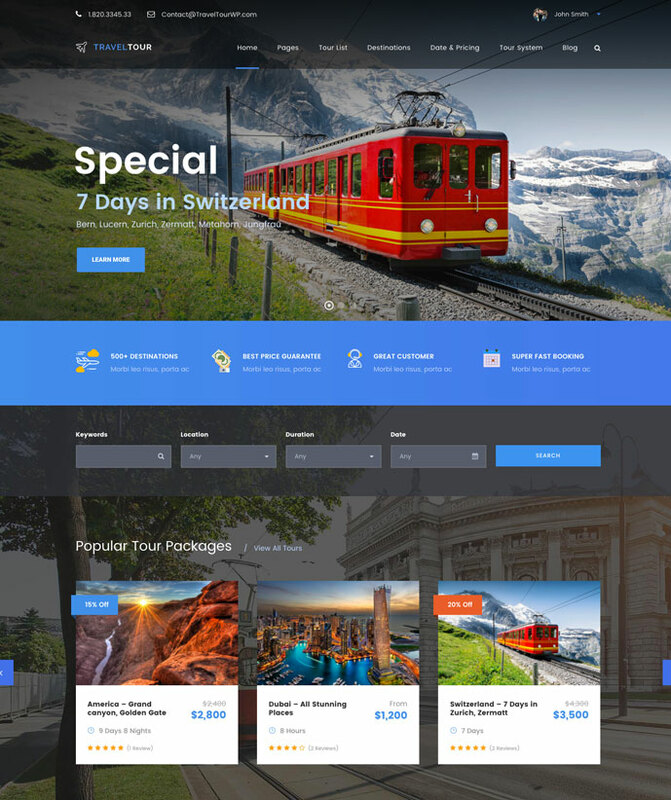 Exploore is an incredibly potent and successful theme, already being deployed to great effect on websites across all travel industries, fields and interests and for endless different purposes and niche template pages, demo websites, homepage styles. Its enhanced Visual Composer drag & drop plugin, its customized Layer Slider, native WPML support and incredibly polished WooCommerce eCommerce plugin integration out of the box. Many Exploore features are niche-specific such as you are able to display schedules with availability calendars. Signup is made easier by the pre-made forms, and payment can be processed via buy pages. With Exploore, a slew of predesigned demo websites, homepage demos and template pages are readily provided for you to customize at your leisure with the integrated. You may even setup nifty demos, via the one-click Demo Data Importer, if the user wants more extensive customization, the Advanced Admin Panel can accommodate that need. Experience Exploore now! This is arguably the best Travel WordPress theme in existence. 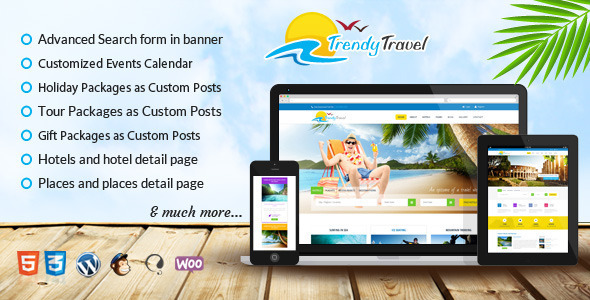 If your goal is to establish a great Travel website, Travel Time theme is the ideal choice, It is a comprehensive theme and full of features as well as the design for a professional quality travel website filled with resourceful functionality without ever having to look at a line of code. Using the powerful Visual Composer and the creative Live Customizer, crafting layouts from template or scratch is intuitive and uncomplicated, with seamless, professional quality results every time just drag and drop. Complete integration and customized visual styling of the WooCommerce eCommerce plugin suite make Travel Time fully prepared to run your online travel shop from day one. 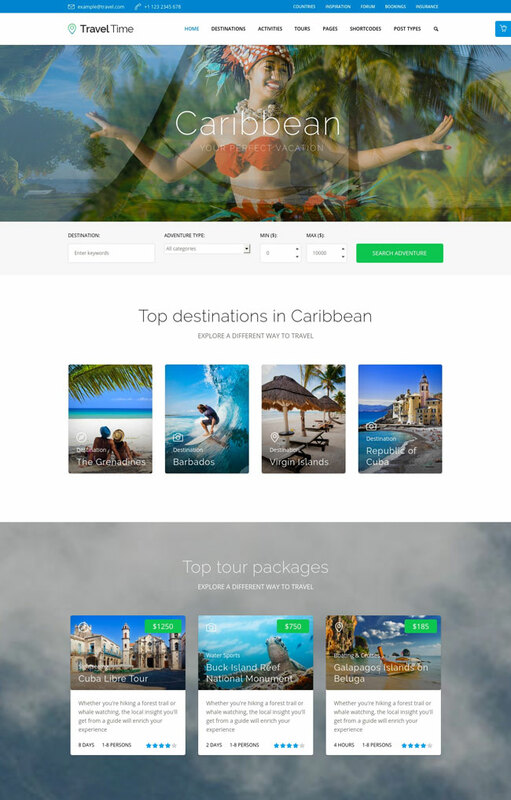 This theme for travel agencies and traveling companies and hotels has an optimized code and structure, as well as fantastic Custom SEO options for every page and posts, allowing you to easily add important SEO meta data to all your website content. Travel Time is WPML-ready, and it can be translated in multiple languages. The control panel is very powerful, yet it remains user friendly and accessible. If you want to sample any of Travel Time’s features, be sure to access the theme demo. 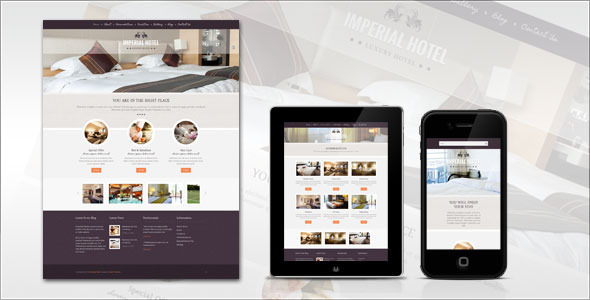 Bellevue is a responsive premium WordPress theme best for Hotels and Bed & Breakfasts. It’s has been downloaded more than 2000 times and has a 5 star rating with over 80 reviews. This beautiful WordPress theme is best for Vacation Rentals, Beach Houses, Chalets, Summer Cabins, Cottages and Hotels. Its layout is very simplified, and it allows for realtime booking. 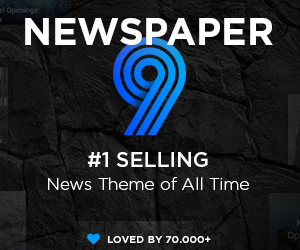 This is a very well-designed, perfect for attracting many users to your page. Availability calendars, booking forms, sign­up forms and an online payment system are a few of the features bundled. Bellevue has niche ­specific features that will make running your Bed and Breakfast, Hotel or Vacation Home Rental easier and more successful. The inclusion of WooCommerce allows online transactions can be easily added, thanks to. Bellevue includes 7 beautiful niche specific demos for unique accommodation styles. Bellevue also includes 5 stylized logos, 50 Layered Photoshop files, the Pro version of Master Slider and the the Premium version of the WP Booking System as well as support for several useful WordPress plugins. This WordPress theme has unlimited possibilities. Designed and created by 5 star Elite authors on Themeforest.net, Bellevue provides you with everything you need for your Bed and Breakfast, Hotel or Vacation Rental Property. Bellevue also includes rockstar support and a website with free video tutorials so that you can get up and running quickly and easily. Kode is a best Travel WordPress and well crafted, Kode Travel WordPress theme and designed for travel agencies and trip planner organizations, design try to deliver the best features for travel agencies, plan your trip and visit the most beautiful destinations. 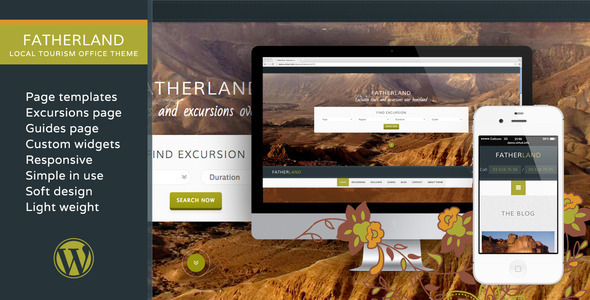 Adventure Tours is a WordPress theme developed for travel agencies and tour operators of any size. It offers a lot of flexibility and possibilities in setting up tours. You can indicate as many tour attributes as you like. These attributes can later be used for setting up a search form. Tour rating system allows your customers to rate the tours. Tours come with a flexible booking system which allows setting up tour dates by periods. If a tour runs regularly one month and then on some specific dates, there is no need to create additional tours, all can be set up in one. You can also indicate a number of tickets for each period of one tour. The Blue Bird is a custom design for Travel, Hotel, Tour wordpress theme coded with Bootstrap latest version, HTML5 CSS3 and jQuery. 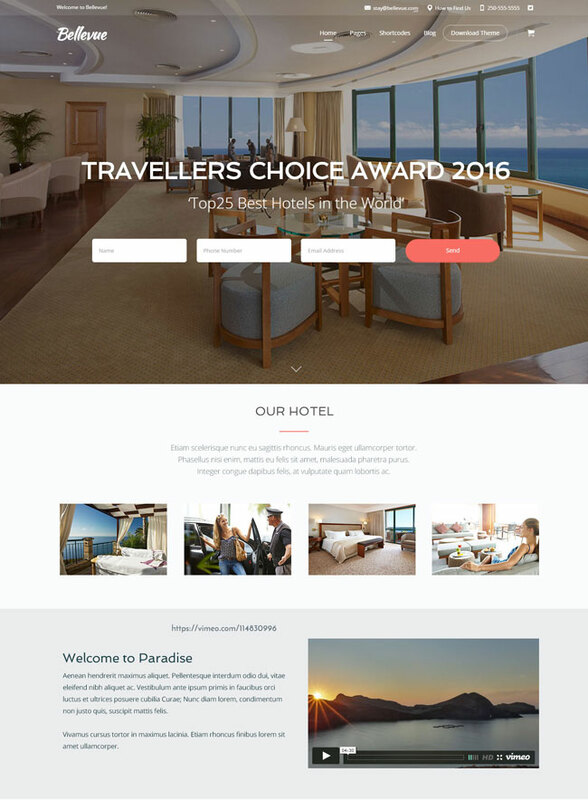 This theme suitable for tour sites, hotel listing sites, travel and local travel sites. Build your own hotel lists with our awesome sections for example hotel listing page, hotel single page, hotel checkout page and similar pages. 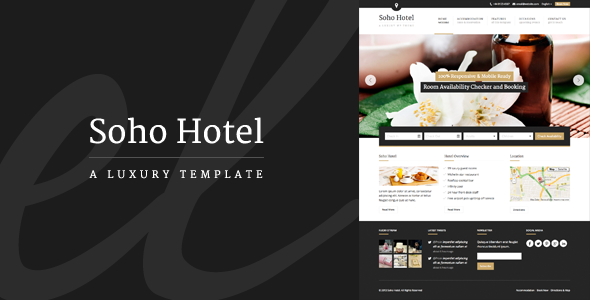 Hotel Calluna is a modern hotel, resort, motel & apartment WordPress theme with included booking & reservation form. Custom Post Types allow you to easily add rooms, events & offers to your hotel website. 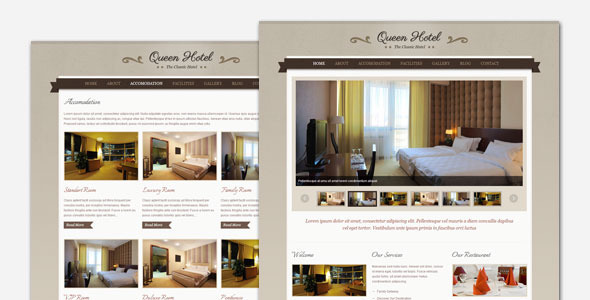 Edit colors, fonts, navigation and page design within minutes using the WordPress customizer and create you own professional, modern hotel website look. 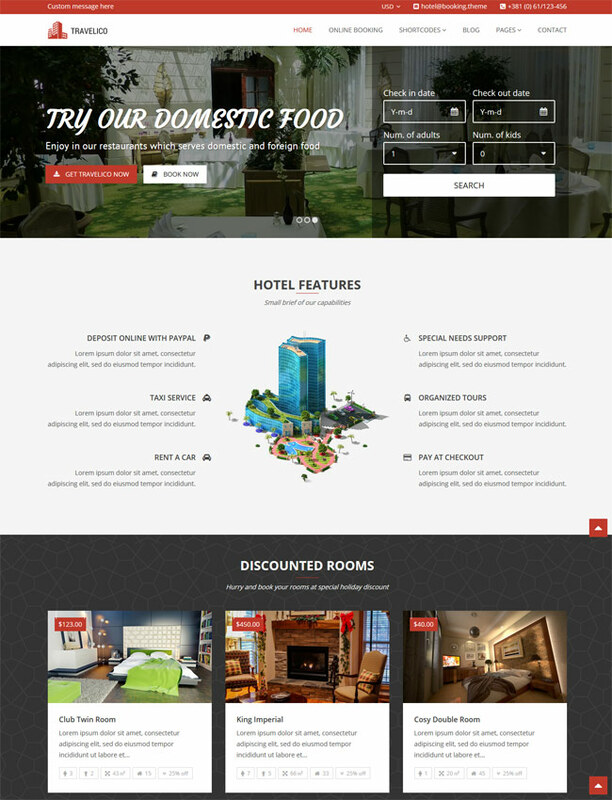 CityTours – Hotel & Tour Booking WordPress Theme is one of the best hotel & tour booking theme in the world. 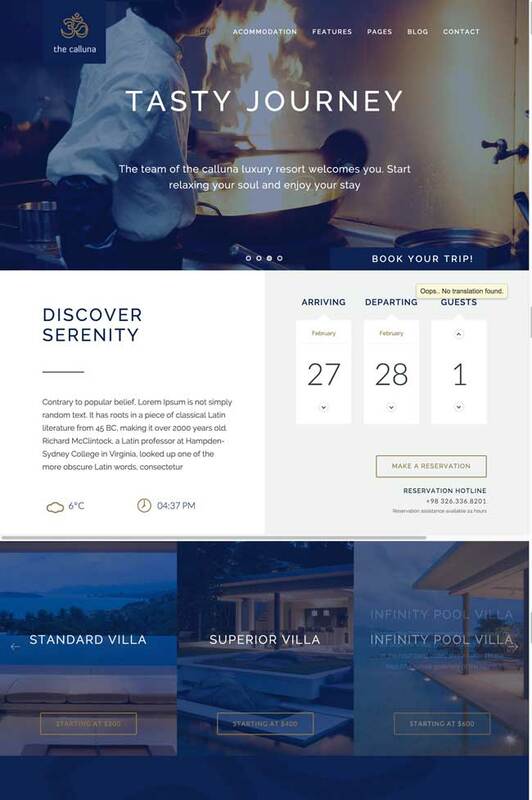 This theme has not only great skin and layout, but also wonderful booking module which allows you to use for any type of hotel & tour booking. Bellevue is a beautiful WordPress theme best for Hotels, Vacation Rentals, Beach Houses, Chalets, Cabins, and Cottages. This theme has it all. 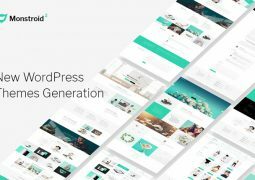 It includes everything you would expect from a premium WordPress theme and it will help you to build an awesome Hotel or Bed and Breakfast website. This WordPress theme will help you simplify and automate the booking process, impress your visitors with beautiful design and convert customers with availability calendars, built in forms and buy pages. 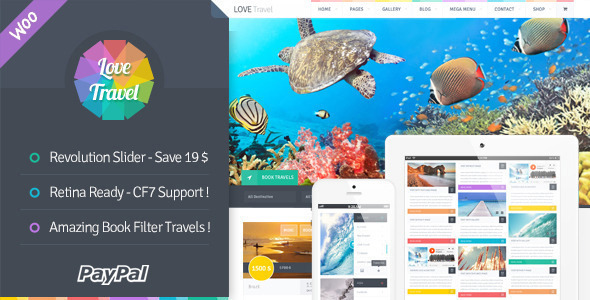 Traveline is a clean and clear booking wordpress theme for travel agencies. With green, designed to bring a professional feel and freshness. In line with modern design trends, creative and smart. 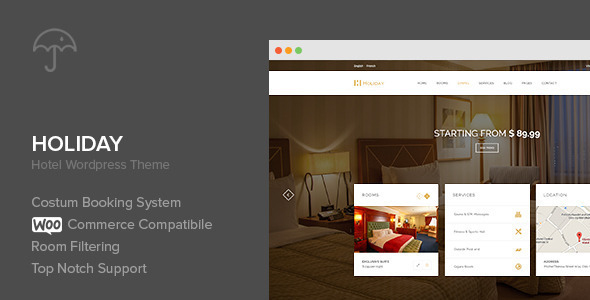 Starhotel is a responsive WordPress hotel theme based on Bootstrap. It’s not just suitable for hotels, but also for resorts, bed and breakfasts, hostels, motels, spa’s and so on. The layout is optimized for all devices(iPhone, iPad, Android) and it’s cross browser compatible. 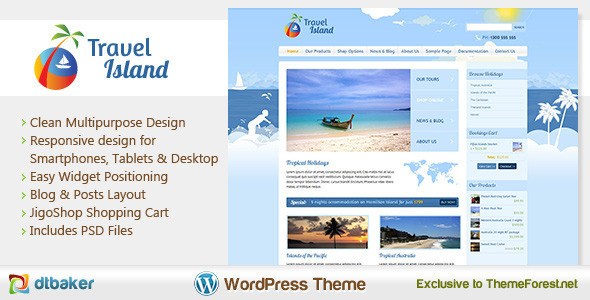 Traveler is All in One Booking WordPress Theme especially for travel company/agent and any personal website. It comes with Hotel Booking, Car Booking, Rental Booking, Activity Booking, Tour Booking and much more continue updating in next time. We integrated payment method for you can easier for use our site for your business. 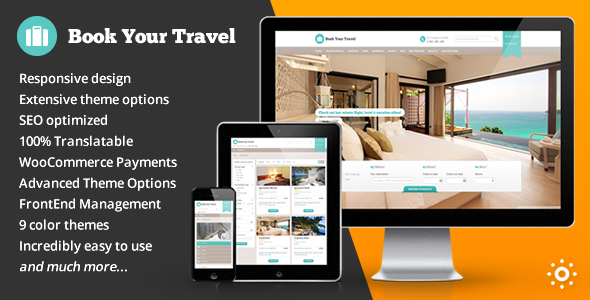 Travelico is premuim WP theme for the hotels, hostels, motels, and all other properties which offers accommodation. With its powerful features it is unique theme on the site and its power will continue to grow. Travelico comes with the powerful custom made slider which will offer you to create nice sliders and in minutes. Travelico offers online room booking with the option to select multiple rooms, with real time prices shown. Travelico allows you to add discounts on each room and to require or not require the deposit in order to confirm the reservation of the rooms. 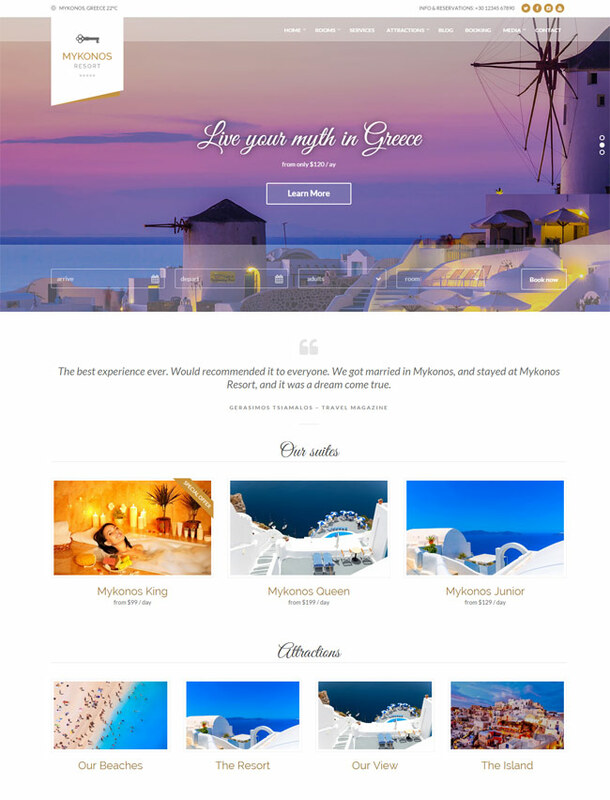 Mykonos Resort is a beautiful responsive WordPress theme specifically designed to showcase your hotel, resort in style. 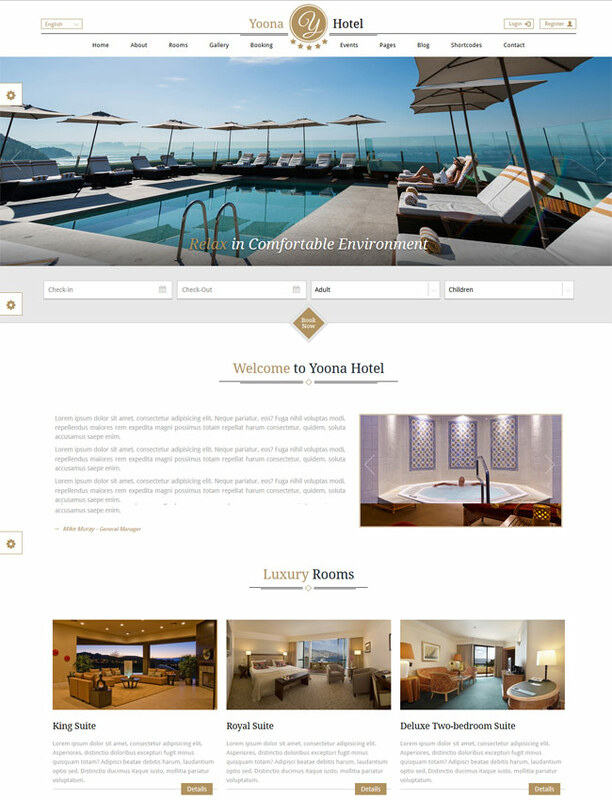 Yoona is a responsive and fully customizable template for Hotel and resorts. Advanced admin panel enable you to customize theme without any technical information, on the other hand we provide 6 preset colors to change all the styles. “Ravis Booking” plugin provides an ajax booking system for Yoona that help users to check room’s availability and enable the admins to manage the bookings. .
Hotel Dedicated WordPress Theme. Holiday was designed and developed to be used for the business niche of hotels, motels, resorts or something similar to that It‘s main Idea Is to present your accommodation. your services and give the ability to your visitors to book them. Magellan is a Travel WordPress Theme with modern, bold, sharp design and many custom options and elements specially designed for this industry. 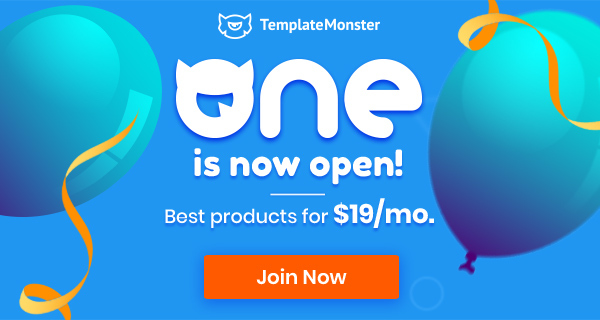 This premium template is packed with: working order form, custom posts for tour pages (including reviews, gallery, location, weather, etc. 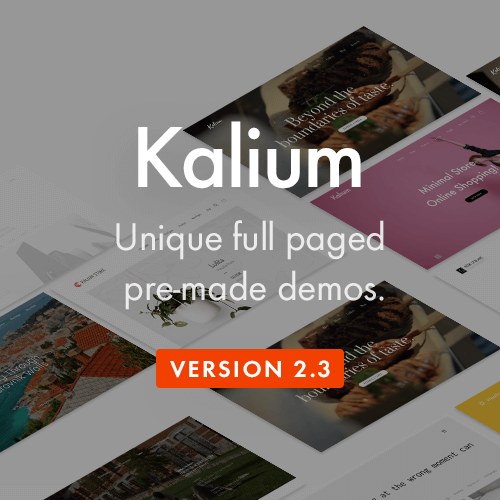 ), beautiful animation and transition effects, custom posts and shortcodes, social media integration, Google maps, WPML compatibility and much more. Fatherland is a theme created especially for local tourism agencies and has two main sub departments: Excursions and Guides. Besides, it has blog and several page templates. Website owner may list as many excursions with description, related information, images, galleries as required. 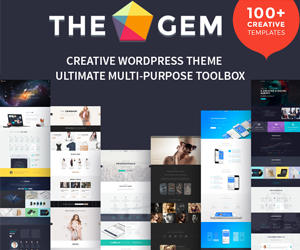 The theme comes with a few metaboxes and widgets written specifically for this theme which help to organise the content in fast and comfortable way. 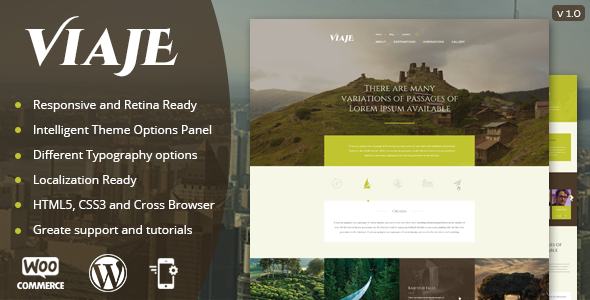 Viage Responsive WordPress Theme – was designed for travel agency, for paradise photography and trips websites and shops. The theme is the best solution for exotic countries exposition, for touristic places or simply for travel photography portfolio. The theme comes with different page templates. The design is responsive and seo optimized. The style is unique and awesome. Select Viaje and build a really exotic paradise web site. 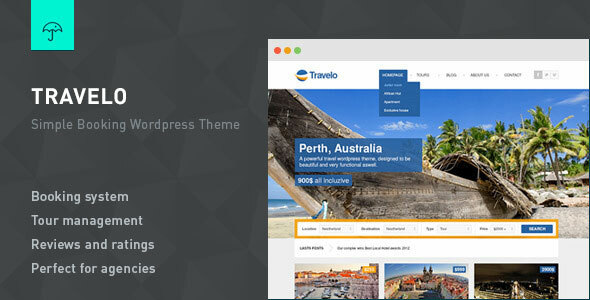 Travelo is a Responsive wordpress theme made for tourism purposes.Build on a clean design, and in a good thought functionality Travelo can be your best choice if you have a Travel Company but you don’t have an online payment service available.Travelo is a simple product which makes possible the User to book an offer by writing personal details, which will be approved/declined from the agent of the tour company. The main importance is on the filter, which can categorize your offers for better search results. This is a great list. I think I’ve found the perfect theme for my next project.